The Azores are much less known among tourists than, for example, the Canary Islands, Madeira, or Cyprus, but this is what makes them special: there is no mass tourism in the Azores yet. This means that you will discover all the unique sights and entertainment that the Azores offer without the crowds of tourists with selfie-sticks and for very affordable prices. The Azores are not only an excellent alternative to the resort islands such as Canary ones, but also, for example, to Iceland with its crazy prices or Kamchatka, which is not so easy to reach. Due to the geothermal activity, the Azores have the same volcanoes, thermal baths, and geysers, as Iceland or Kamchatka do, only on a smaller scale. Finally, to develop tourism, SATA Air Açores offers free travel between the islands for tourists! The Azores belong to Portugal and the easiest way to get there is from its capital, Lisbon. You can find very cheap tickets for Ryanair or TAP Portugal. We flew with TAP, and this was the best low-cost airline we have flown with in the recent years! Not only do they offer real food and provide wine during the flight, they also do not weigh the luggage! Their support service is excellent too. You can simply call via Skype without wasting a lot of money on the phone. We flew with hand luggage only and on the way back after shopping in the Azores, at some point we had three huge bags per person (instead of two handbags). Nobody said a word to us! 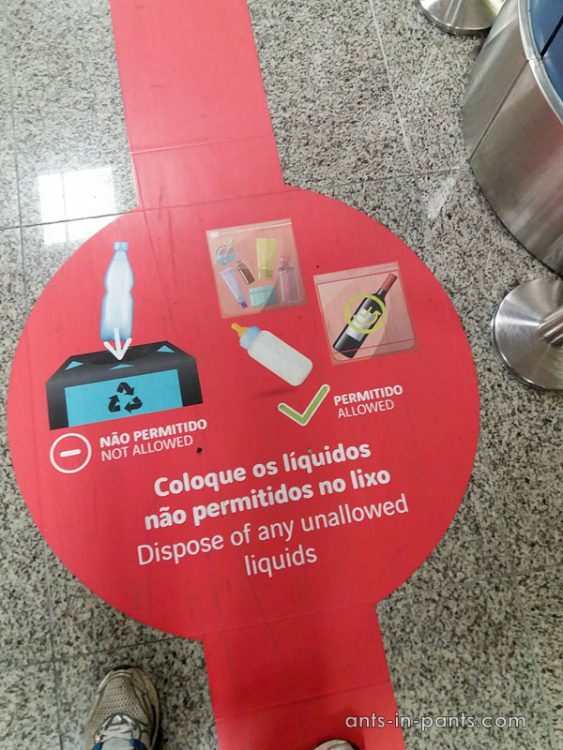 In addition, we observed the following situation during security check at the Lisbon airport: one of the passengers had canned food with sardines in his hand luggage. The airport worker who discovered it shook it in his hands and put it back into the passenger’s bag! In short, they are very relaxed both in Portuguese airports and Portuguese airlines! Most of the planes from Lisbon fly to San Miguel – the main island of Azores with the capital in Ponta Delgada. In total, there are nine islands in Azores archipelago and of course, it is not easy to visit all of them. Which island to choose? We analysed this question for a while and came to the conclusion: San Miguel! San Miguel is the largest island and at the same time, it combines all the sights that exist on other islands: thermal baths, mountains, lakes, and the ocean of crazy colors. A lot of people report about amazing experience in Flores Island, but we did not get there. How to Travel between the Azores, Also for Free! By plane. The average price of a plane ticket between the islands is about 80 euros – more expensive than a flight to San Miguel from Lisbon. However, there is a very interesting opportunity to fly for free! 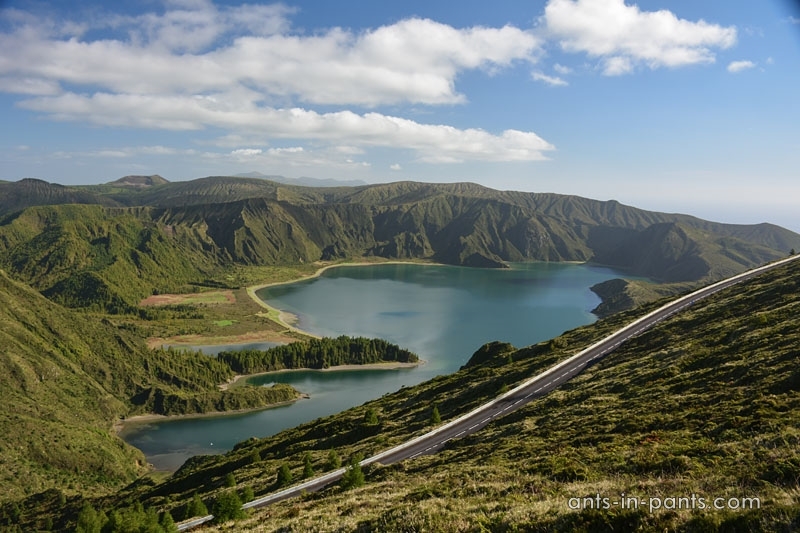 Sata Air Azores offers free flights for passengers traveling to the Azores from mainland Portugal or Madeira. For example, if you fly from Lisbon to Flores through San Miguel and stop at San Miguel for less than 24 hours (on the way there), you can request a free ticket for San Miguel–Flores segment from Sata Air. 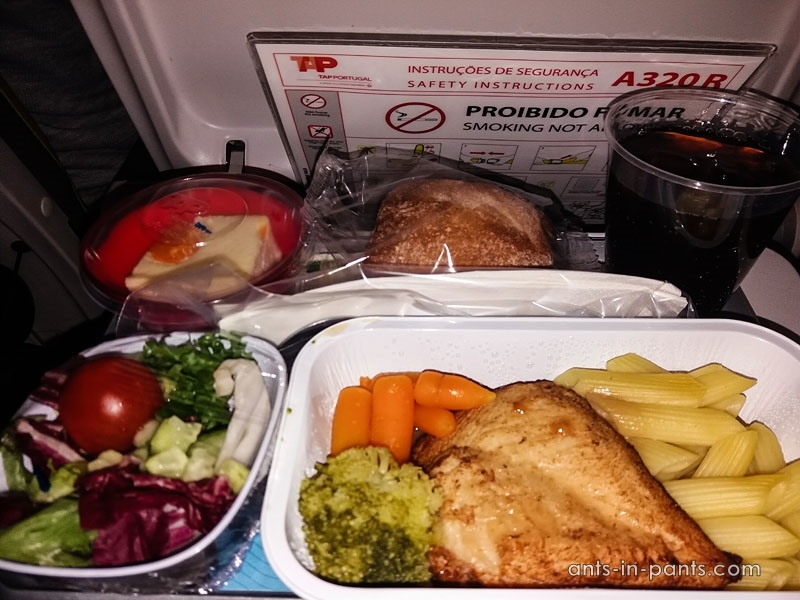 More information on the airline’s website https://encaminhamentos.sata.pt. There is also a form available that you need to fill out to request a free flight. 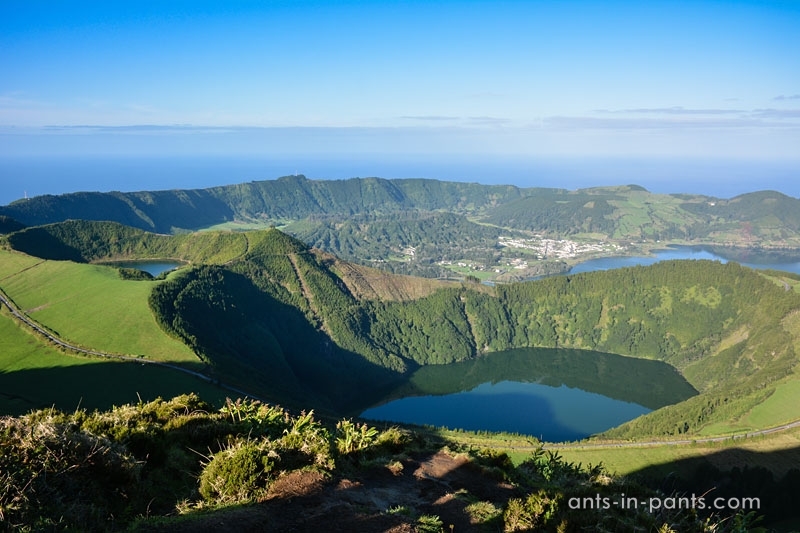 We were planning to go to the Azores in summer, but found out that the accommodation and car rental were quite expensive in the high season: all the Portuguese from the mainland go to the Azores in summer. As a result, we went in winter, in December, and did not regret it. 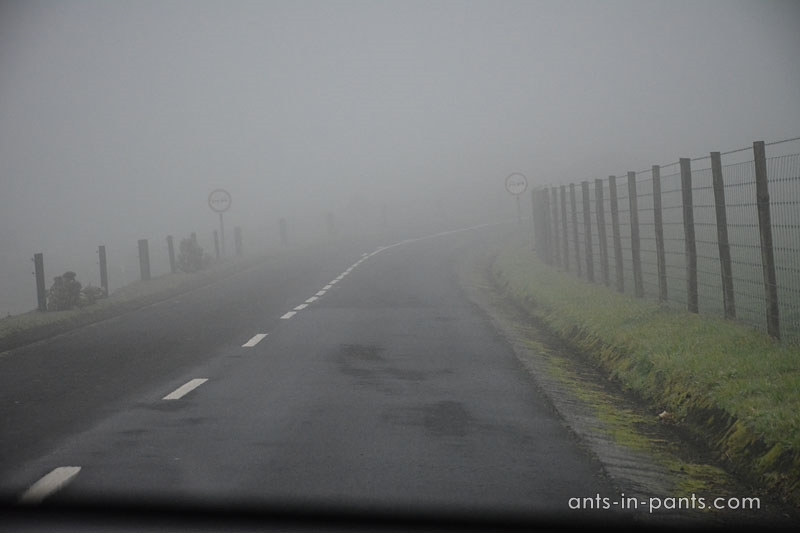 Many have discouraged us, since December is the wettest month in the Azores. It was raining indeed, but only a couple of hours a day, and not everywhere. 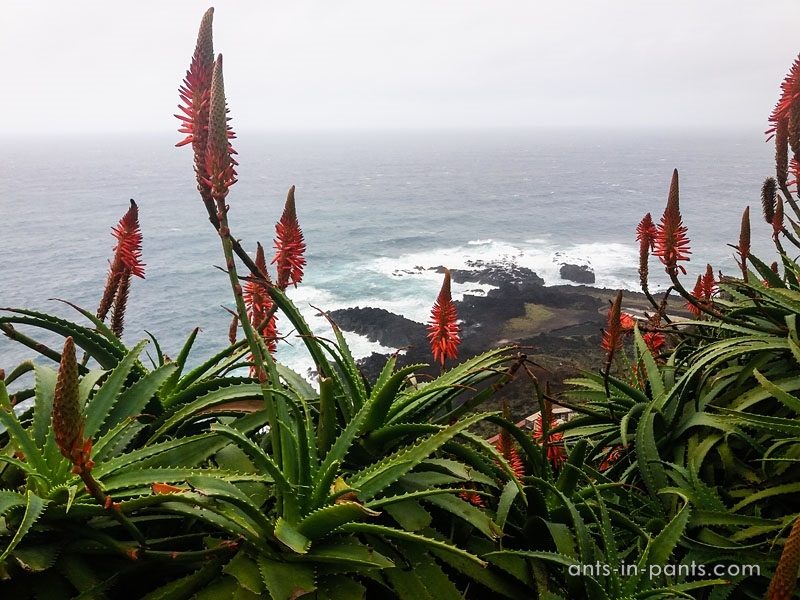 Even when it rains, there is a lot of interesting things to do in the island: we spent several hours in different scientific centers (for example, in the volcanic center), went to pineapple plantations (they are in greenhouses anyway), went shopping, took thermal baths (they are even better during the rain), had gorgeous Azorean lunches or desserts. The main thing to keep in mind is that the center of the island with the mountains is not worth going to when it rains: you will definitely not see anything there. The view from the observation points is not very clear either. You are also unlikely to be able to swim in the ocean. You can always have a look on the webcams before leaving home to make sure that the weather at your destination is good. 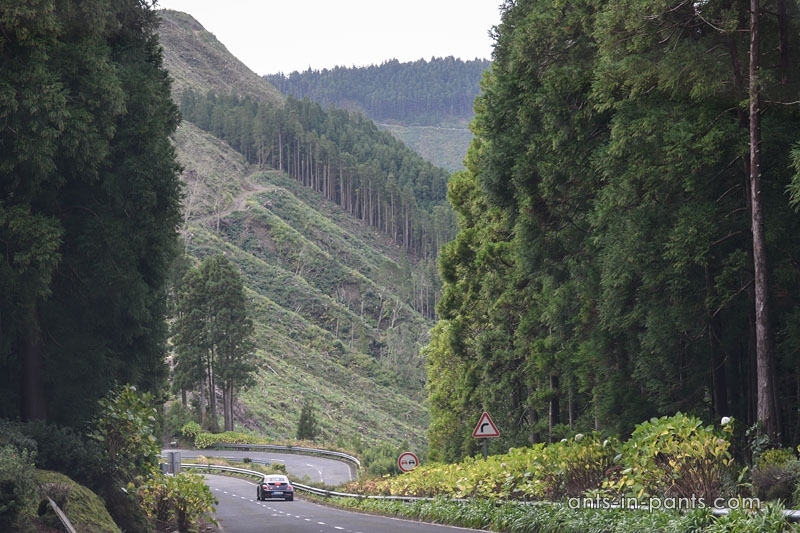 In spring and autumn, the Azores should be even more beautiful, since the weather is more stable. You can get around San Miguel and the rest of the islands by taxi, bus, or a rented car. For your information: a taxi from the airport to Ponta Delgada costs about 10 euros for a couple of kilometers, so you can imagine that taxi prices in general are rather high. As for the buses, we did not see them too often; you may wait for a bus in some directions for about an hour. 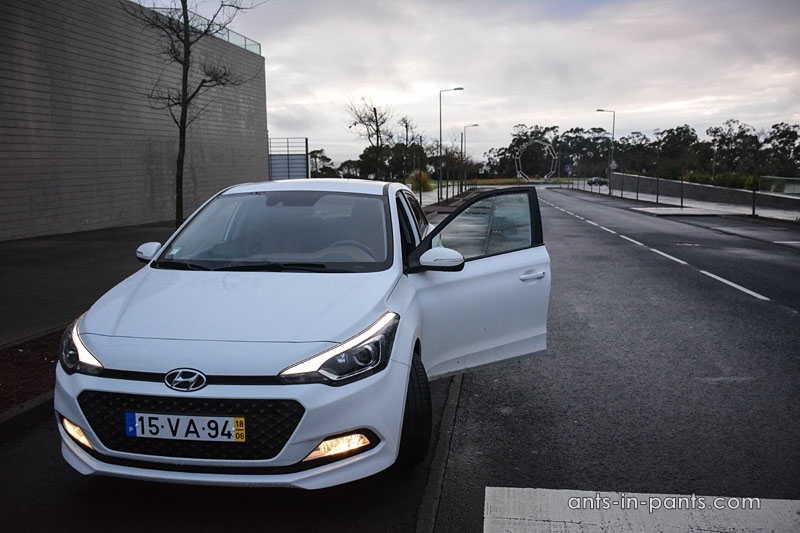 As usually, we booked a car through the economycarrentals.com broker (and got the company Ilha Verde) and did not regret it at all: the car we got was new (Hyundai i2.0 with mileage of 15.000 kms), the traffic was rather relaxing, and the price was low. 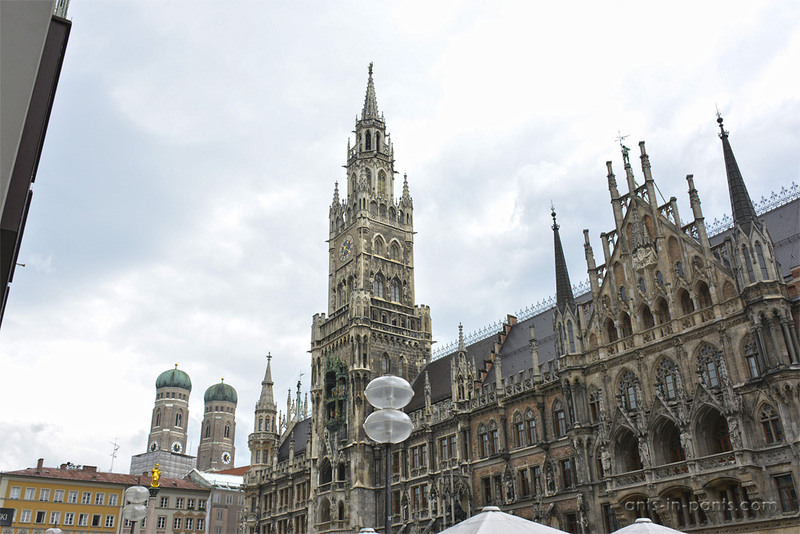 We paid 119 euros for 10 days, including the insurance provided by the broker. In summer, these prices are twice higher. We were also lucky because it was possible to return the car at 5.30 AM before departure. Our neighbor who booked from another company and also flew out early in the morning was less fortunate and had to pay extra for an extra day. By the way, the owner of our Airbnb provided bicycles to the guests for free use, so this is also another transportation option for short distances (as the traffic in the island is not intensive). 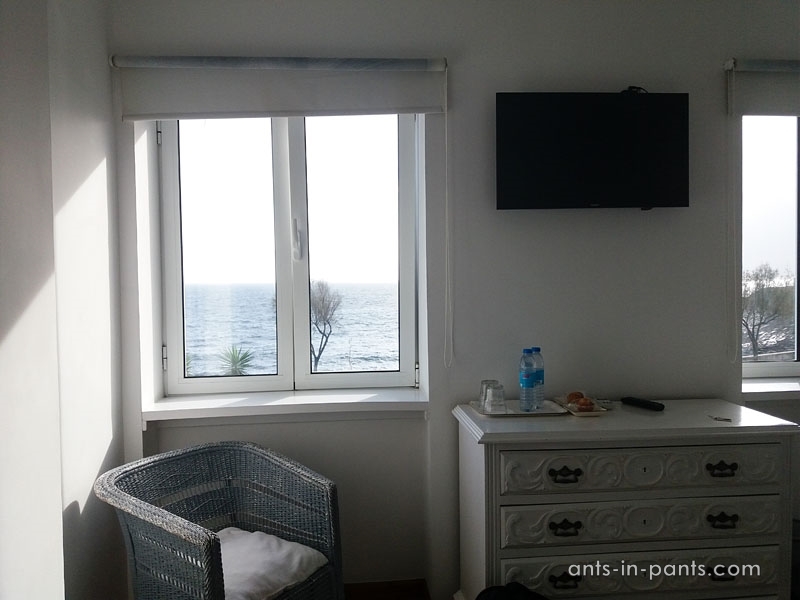 We rented this room (Casa da Ilha) in the Azores and it was perhaps the best accommodation we have ever had. In was in a huge traditional Portuguese house in which several rooms are rented out. There are two options: a room with an ocean view or a room with a private patio. We chose the ocean and woke up to such a view every morning – this is something incredible! The house owner Nicolau and his assistant Annabella are simply awesome, they take care of the house in such a great way that people would rarely care of the houses they live in. 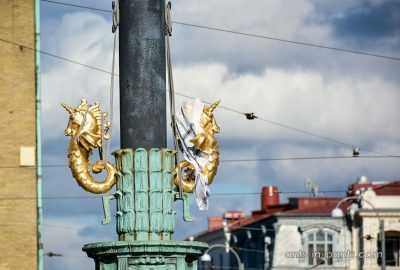 Crystal clean, the house also provides everything a tourist needs – from swimming masks, beach towels, and umbrellas to bicycles — everything is included into the price. Needless to say that there is a kitchen with all the necessary utensils. If you go there in the low season, it is likely that you will be the only guests in the house and all this two-story magnificent place will be at your disposal. We were sharing this house only for two days out of ten. 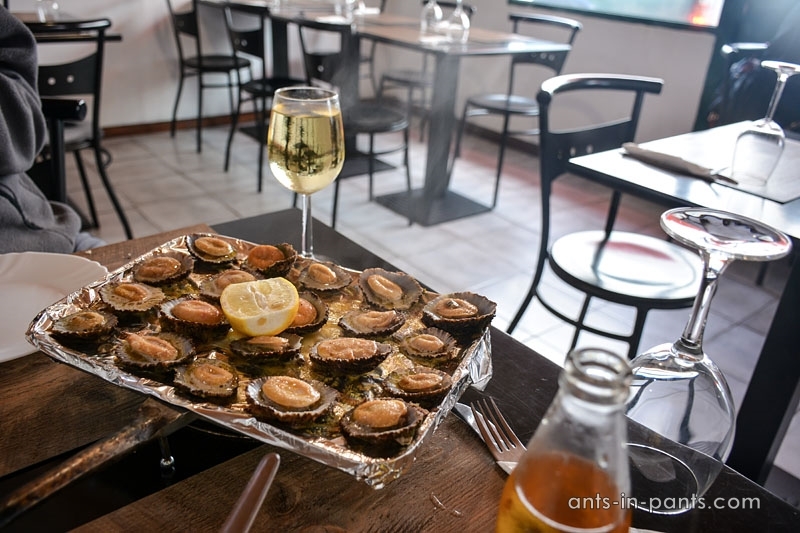 In the Azores, you will definitely not be hungry. The average price of a huge dish in a restaurant (sometimes we took one for two, plus the soup) is 12 euros. 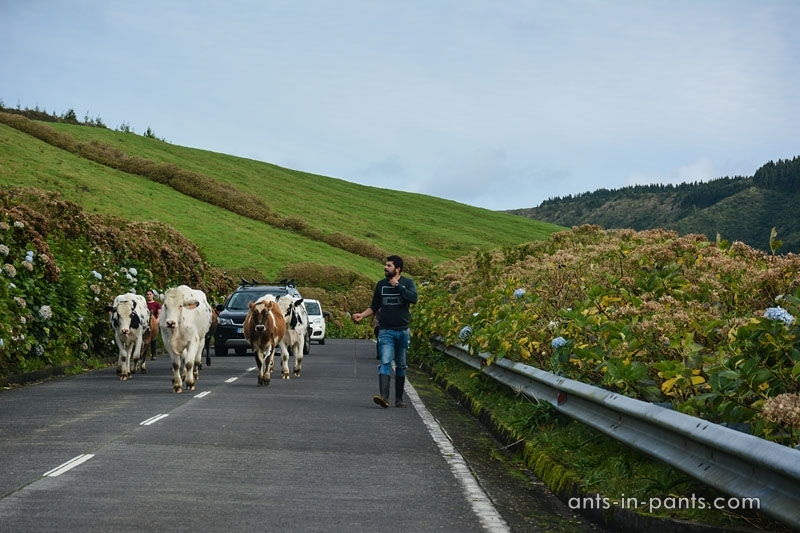 The Azores are most famous for seafood and beef steaks: cows graze around the island and their meat is considered a special delicatessen. Beef tenderloin is cheaper than pork in Estonia. 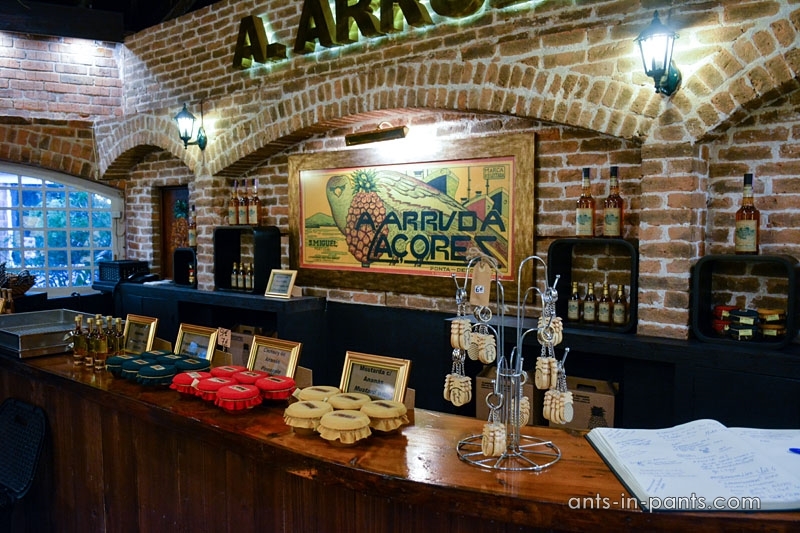 Moreover, the Azores have great cheese, all sorts of wines for the price starting from 2 euros, a huge market with seafood, fruit, vegetables, should we continue? We promise to make a separate post about food in the Azores, and share information about our favorite supermarkets and restaurants. As generally in Western Europe, the Azores offers expensive services (human labor), but otherwise everything else is cheap. 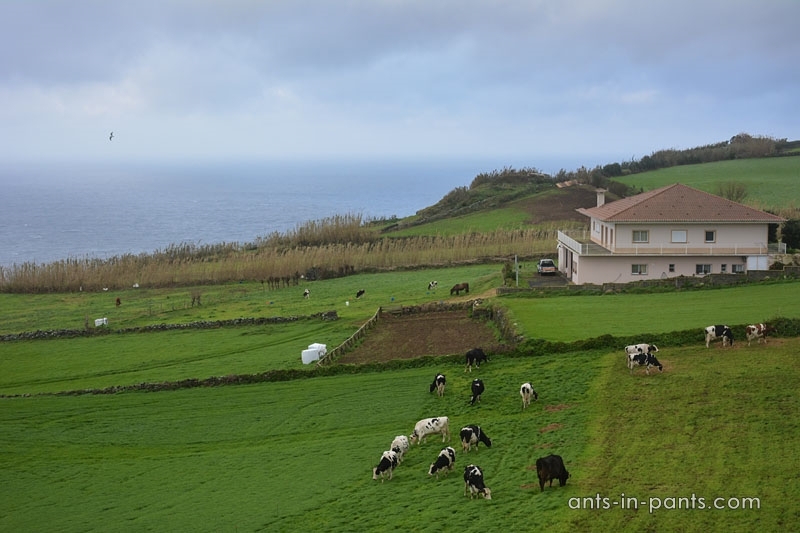 While traveling you will hardly need to repair your boots or do renovation, which is why for you the Azores are cheap! 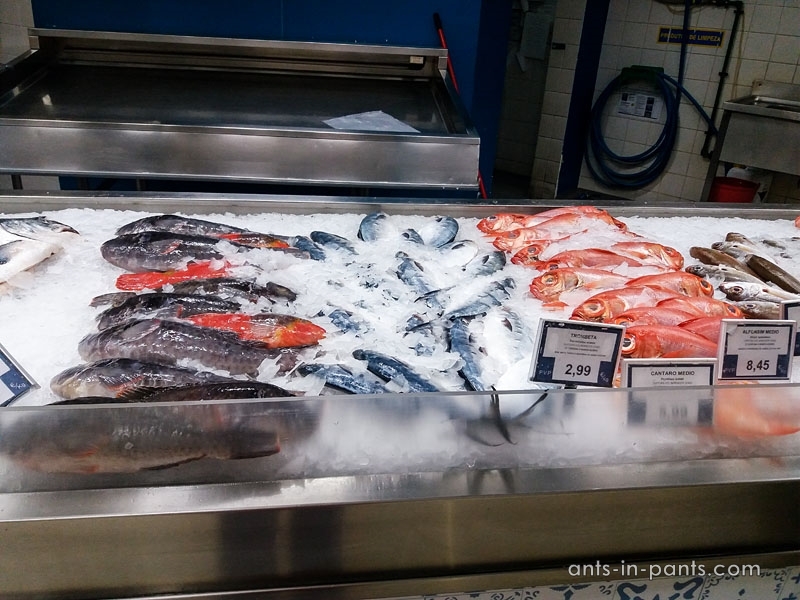 As for the food in supermarkets, milk costs about 1 euro per liter, beef steaks start from 6 euros a kilo, ocean fish starts from 3 euros per kilo, hard cheese starts from 10 euros. The price of renting a decent room off-season is 30 euros. And the most interesting part… Certain brands of clothing in the Azores, as in all of Portugal – are many times cheaper. Massimo Dutti, Oysho, Tezenis, Zara … shall we continue? 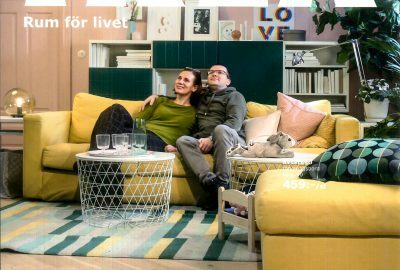 We purchased a lot in Massimo Dutti and then compared the prices with the prices on the websites of the shop in Estonia, Spain, Russia – everything was twice cheaper in Portugal. So, the shopping experience was great even though the shops and shopping centers in the Azores are quite small. What to Bring from the Azores? First of all, many say you should bring Azorean pineapples. However, the average price for a small Azorean pineapple is 4 euros and bringing it home safe is not so easy. Sometimes, however, it is possible to find pineapple smugglers, selling pineapples for 2.5-3 euros from a car, as a rule, near the tourist attractions. By the way, the pineapple we bought this way was tastier than the one from the store. Also, you can buy all sorts of pineapple-themes souvenirs at the pineapple farm. You should definitely bring home cheese (local factories produce Sao Miguel, Sao Jeorge, Azores) and wines (especially Portuguese Vino Verde). 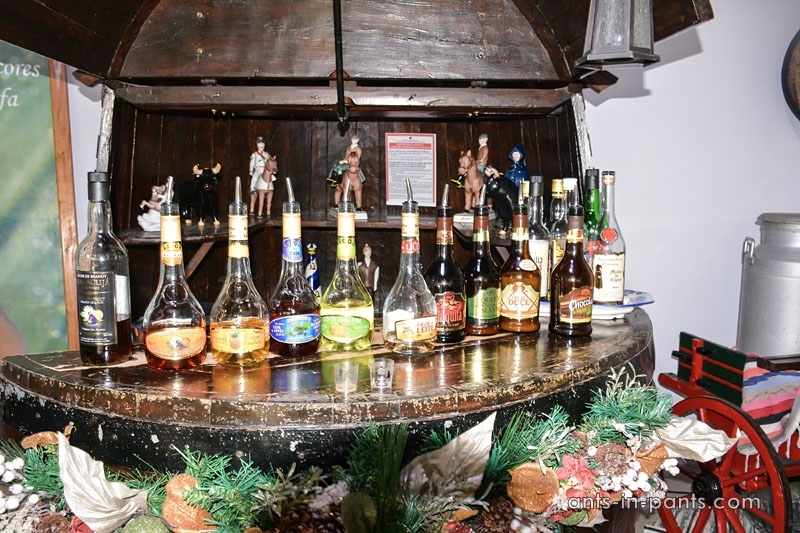 Make sure you buy local liqueurs, we really liked the milk one, for example. A less expected recommendation is to bring dried fish (we did not think of it, but now we regret). You will see huge chunks of dried salted cod bacalhau sold in supermarkets and shops all over the islands. Bacalhau is traditional fish in Portugal, and the most popular. Locals buy it, soak it in water for a while, and then cook it in the most usual way – bake, fry, whatever. At home, you can store dried fish in the freezer (at the same time it will not smell), get it out any time get and cook bacalhau com natas – traditional Portuguese dish, cod in cream (the Internet is full of recipes). 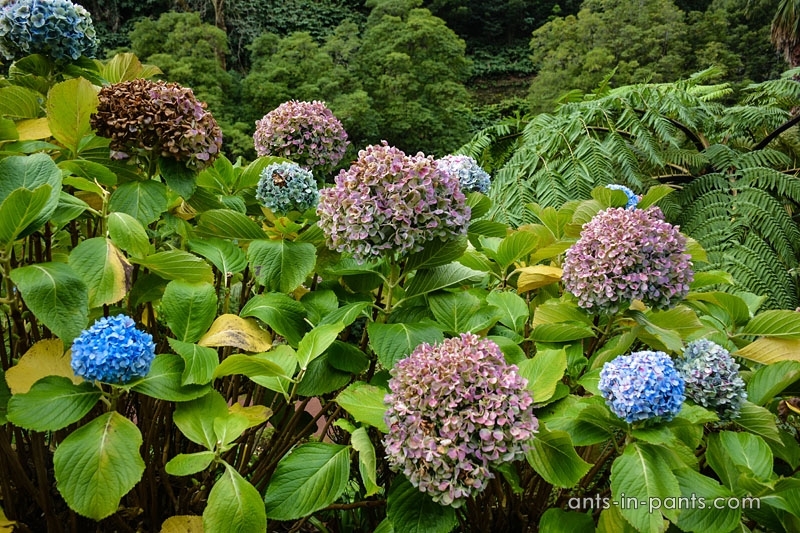 In the market and in flower shops, you can buy the seeds of the beautiful Azores flowers and try to grow them at home. We brought the cuttings of hydrangea, which, we hope, will grow. 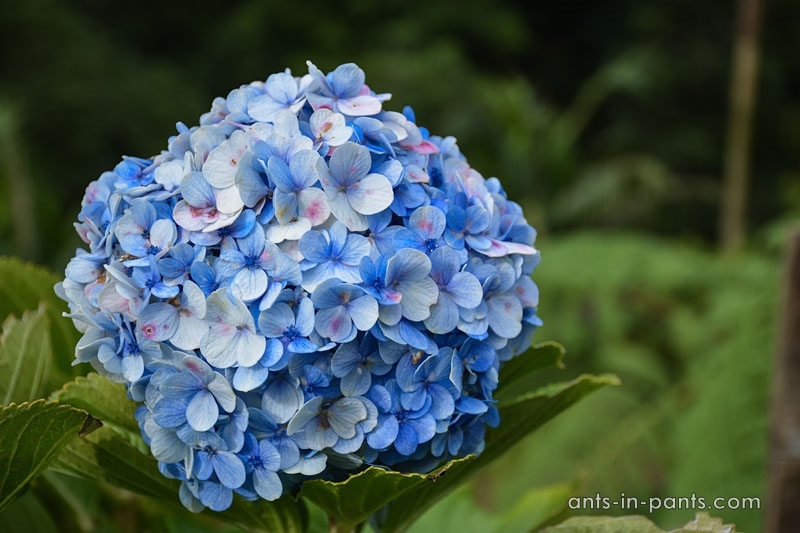 Hydrangea flowers constantly change their color depending on the soil and the weather, so you may see different flowers even on the same bush! Traditional souvenirs are also available in the Azores, but they did not look too tempting. There is jewelry made of volcanic lava too, again, not our type of thing. 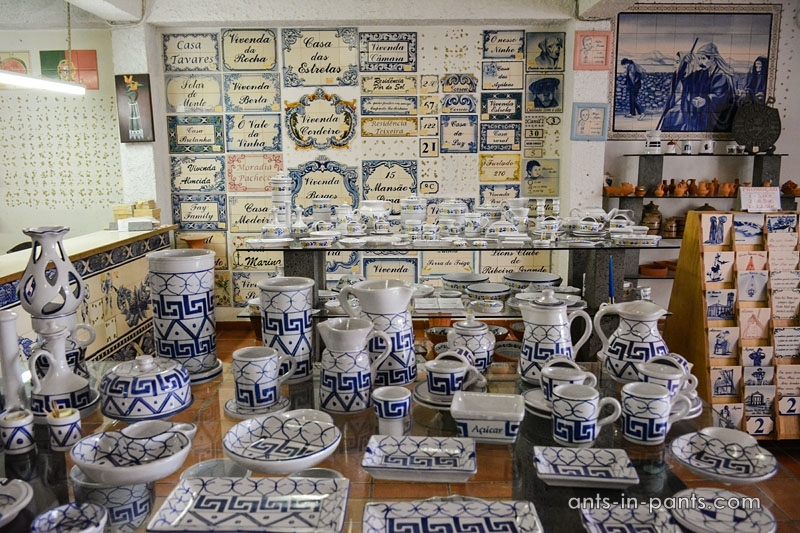 As everywhere in Portugal, they make beautiful traditional ceramics azul in the Azores (in case you like Portuguese tiles the way we do), so you can buy dishes and other azul-themed souvenirs. 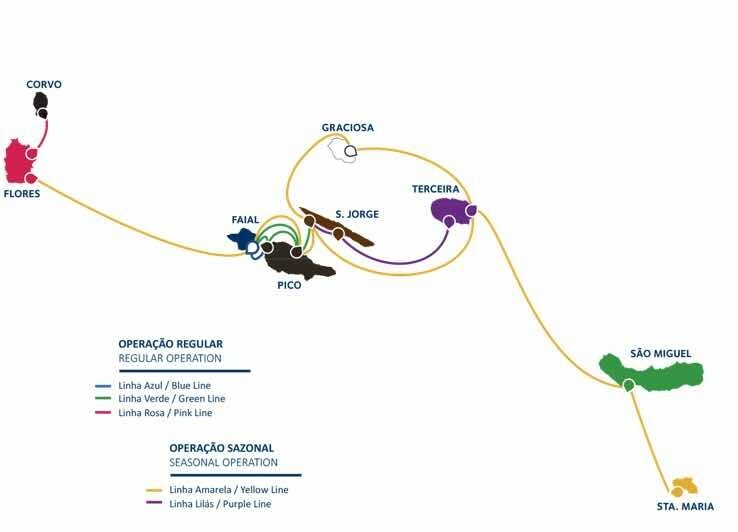 A very useful web-page for tourists with a map of attractions in sections, marked hiking trails and webcam broadcasts: https://www.visitazores.com/. 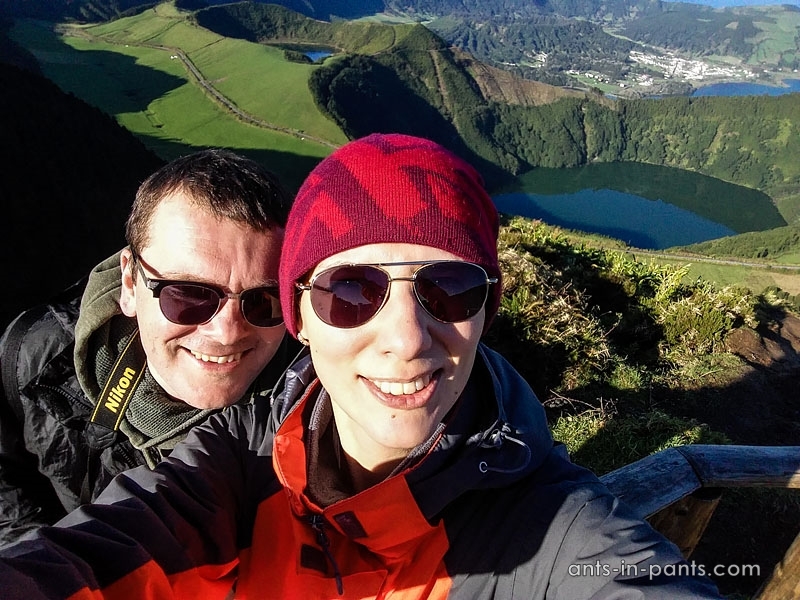 Apps for travelers in the Azores: Visitazores, Walkme Portugal (with hiking trails). In Ferraria Hot Springs app, you can see what time the water in the hot springs is not too hot for swimming. All these applications are free on Google Play.